FRAUD accused former Energy Minister, Samuel Undenge went ballistic and demanded President Emmerson Mnangagwa's arrest as he took to the dock Wednesday to defend claims of prejudicing the Zimbabwe Power Company (ZPC) of $12,000 during his tenure. Undenge emotionally took it to the witness stand where he claimed he was being persecuted for belonging to the infamous G40 faction which was once fiercely opposed to Mnangagwa succeeding then President Robert Mugabe. 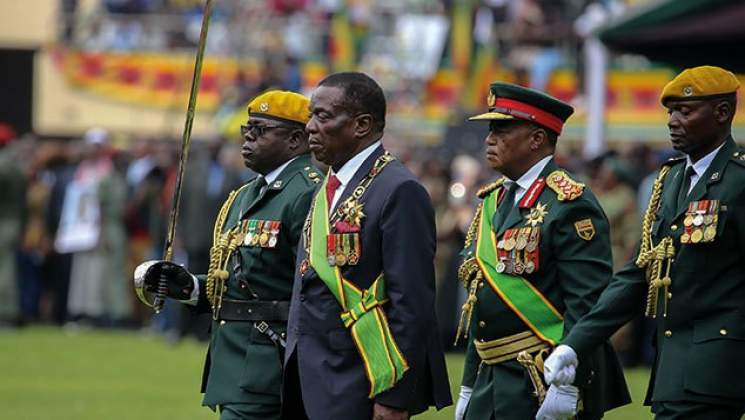 He called for Mnangagwa's arrest saying the now State leader was the one who directed Fruitful Communications Company, which is at the centre of the fraud storm, to do public relations for ZPC without going to tender. The ex-minister said his prosecution was a clear mockery to the country's justice system considering that "corrupt individuals" were walking scot free while he was being pursued over $12,000. "An official from the president's office, Ndlukula testified in this court that Vice President's wife, Marry Chiwenga was given a contract without going to tender, for a company which did not even exist. "The company was even named when authorities decided to favour her with the deal because it never existed. "It was a multimillion dollar deal but procedures were not followed; that is outright corruption," he said. "It also baffles me that owners of Fruitful Communications, Oscar Pambuka and Psychology Maziwisa clearly indicated that they were instructed to do PR work by the (now) President but the Zimbabwe Anti-Corruption Commission (ZACC) has never made any effort to record a statement from him. "That is why I insist that am being persecuted for political reasons and I ask this court to acquit me because I did not commit any offence." Undenge said he was being targeted by people who were trying to please the President. The ex-minister also told court that when ZACC called him for a statement, he was told that he was a State witness in a case against Zanu PF, MP Maziwisa and journalist Pambuka, owners of the company. The ex-minister said he was also a victim of corruption since he was working day in towards good publicity for parastatals which fell under his ministry including ZPC since there so much bad publicity. Undenge's case was postponed to a later date for continuation.